idaho | Sophisticated Diva ~ A.K.A. Along came Polly! 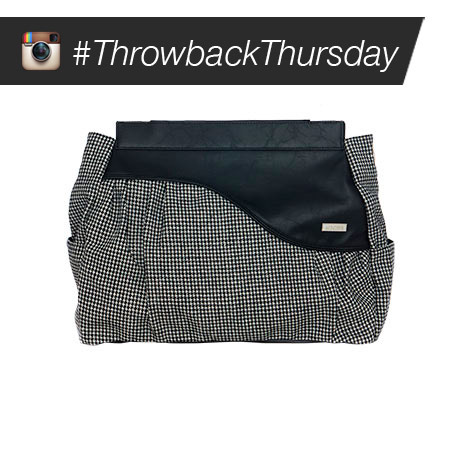 Miche THROWBACK THURSDAY—- CLICK HERE to go directly THERE! Today let’s do it “prima”!! Neisha for Prima Bags just might be your new favorite cold weather Shell! Classic houndstooth fabric in a miniature pattern is flecked with the tiniest hints of silver—giving it a little touch of surprising sparkle. The pièce de résistance is the dramatic black faux leather wave detail across the top. Be still my heart—this gorgeous Shell is perfect with just about any outfit! Base bag and handles not included. #Miche 72 hour sale EXTENDED!!! GREAT NEWS!!! Miche’s 72 hour sale event has been extended~~WOOHOO!! Due to the popularity of this event and to allow everyone who wants to order to be able to access our busy ordering websites, the 72-hour sale is now an 84-hour promotion! The Base Bag Event has officially been extended until 7PM Mountain Time (6 Pacific/8 Central/ 9 Eastern) Tuesday April 16th. CLICK HERE to go directly to the sale!! Last dance, last chance to get the beautiful LUXE Aspen shell—we were just notified that Aspen is listed as CRITICAL INVENTORY and will retire when sold out! Mmmmm…imagine a delightful après-ski party at an exclusive resort in Colorado. You sweep past a roaring fire looking impeccable from head to toe—and the gorgeous Aspen on your arm makes your look complete! Aspen for Demi Bags features faux leather in deep hot chocolate brown, accented with enchanting herringbone loops woven with slender antique brass chains. As part of our Luxe line, Aspen comes with matching handles, key fob and a dust cover for easy storage.